(d) the appointment of an independent (and expensively remunerated, at the rate of $518–$818 per day, each) five member committee to advise the new Health Minister David Clark, thus bypassing the Ministry’s own advisory role until such time as it can get its house in order. Sure, you can choose to blame it all on the bureaucrats. Yet these calamities – and the drinking water crisis in particular – seem like an inevitable outcome of the failures in political leadership by previous Health Ministers Tony Ryall and Jonathan Coleman – who after all, inherited a new and entirely fit-for-purpose set of water safety standards devised in 2007, but who did next to nothing to ensure they were being met. The buck surely, stops at the Minister’s office. (That’s why they get paid the big bucks.) It’s not meant to stop at the door of the Health Ministry’s top official. Basically, bureaucrats enforce policy (or not) according to the political climate of the day. Ever since the public service got politicized in the late 1980s, top officials have been conditioned to jump to the signals they get from the Minister’s office, and their continued employment quickly comes to depend upon how sensitive they are to those signals. The Beehive reality? For the past nine years, there has been a political culture of absentee government, where almost any regulatory action that involved spending money fell out of favour. Cost cutting and budget balancing became fetishes, and were pursued as ends in themselves. Yes, the Ministry may have provided ‘weak leadership’ – but this was largely because the officials in question were being told to cut corners in the context of a systematically underfunded health system, where risk to patients came to be regarded as the acceptable part of the state’s diminished role in the sector. It didn’t help that many of the people (a) likely to get sick and (b) dependent on the public health system were not seen as likely National voters. So… the new government is now facing unmet need – and the costs involved – everywhere it looks. It will now cost a fortune to pay the bills for the last government’s list of deferred social maintenance. 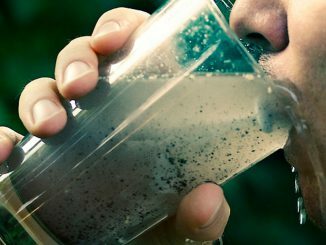 Child poverty, run down health and education systems, a crisis in affordable housing… and now the health risk involved in drinking the water from the tap. Such are the costs of de-regulation, after nine years of absentee government. She’ll be right? No, not anymore. Yes, the drinking water crisis will be costly to fix but since this is a problem that central government has allowed to fester, it should be one that central government does the lion’s share of fixing. In the end it will entail a re-ordering of priorities. Currently, New Zealand has allocated billions of dollars to Defence (over the next 20 years) to guard us against what even the NZDF concedes to be risks that are non-existent now, and for the foreseeable future. We are also spending hundreds of millions to meet the potential risks from earthquakes in future – while underfunding a health system that is failing on a daily basis to cope with the existing needs of sick people. In defence and earthquake planning, the risks are less palpable than those identified by this week’s second phase of the Havelock North inquiry. So… as predicted in this column last week, Time magazine has indeed bypassed Trump and awarded its ‘person of the year’ cover to the women who called out Harvey Weinstein and his ilk. You pushed me when I’m falling… This track may be more about pouring than drinking, but who needs an air-tight excuse to play a great soul musician like James Carr?